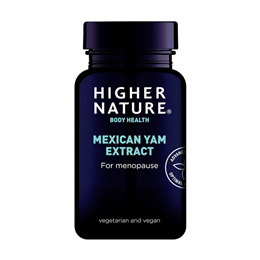 Mexican Wild Yam has long been prized by Asian women for its known benefits to health, especially through the menopause years, by helping to maintain a calm and comfortable menopause. It also contains plant sterols from the highest quality Mexican yam. Wild yam is a root vegetable used in Asian cooking and is thought to contribute to Asian women`s good health. It contains high amounts of vitamins, minerals, fibre, carbohydrate and protein. Wild Yam standardised extract, Mexican Wild Yam standardised extract, bulking agent: rice bran; vegetarian capsule: hydroxypropyl methylcellulose. Take 1-2 capsules a day, with meals, or as your health professional advises. Not advisable if pregnant or breastfeeding. 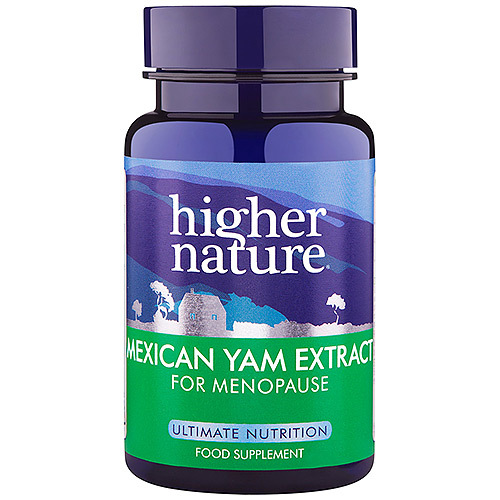 Below are reviews of Mexican Yam Extract for Menopause - 90 Vegicaps by bodykind customers. If you have tried this product we'd love to hear what you think so please leave a review.